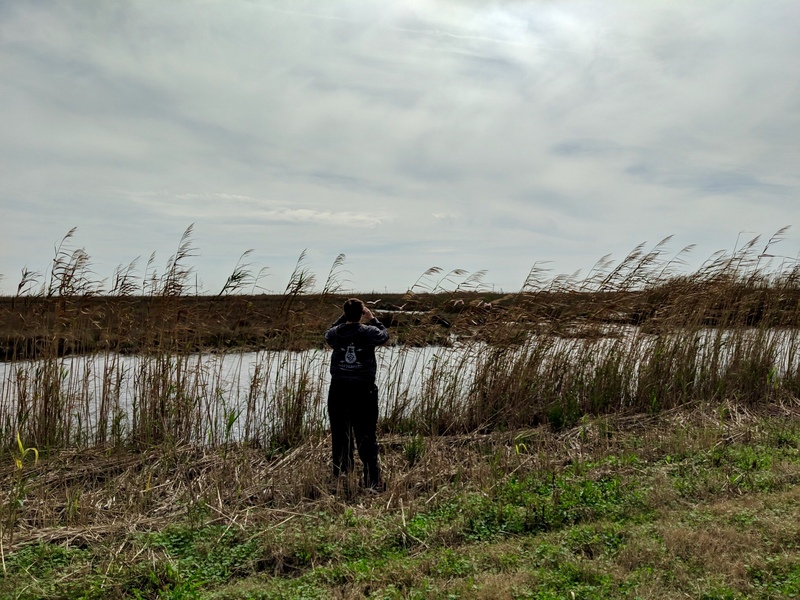 We had the most amazing day at the McFaddin National Wildlife Refuge! And as I’ve done before, I wanted to list a few birds here. Not a lot of pictures here, because birds are hard to photograph. But would you look at this list! My friend Barrett and I counted twenty-three species, including: European starling, osprey, mottled duck, lesser scaup, red-breasted merganser, Wilson’s snipe, tri-colored heron, American coot, northern harrier, great egret, brown pelican, tropical cormorant, double-breasted cormorant, great blue heron, turkey vulture, black vulture, blue jay, killdeer, little blue heron, great-tailed grackle, boat-tailed grackle, rock pigeon, and snow goose. 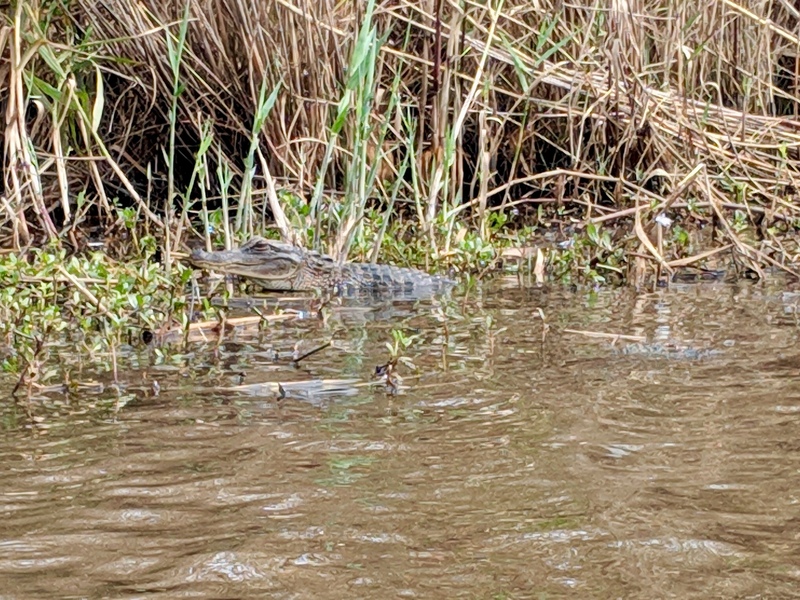 We also saw four little alligators. Maybe two to three feet in length; not so little that I didn’t watch Hops carefully. 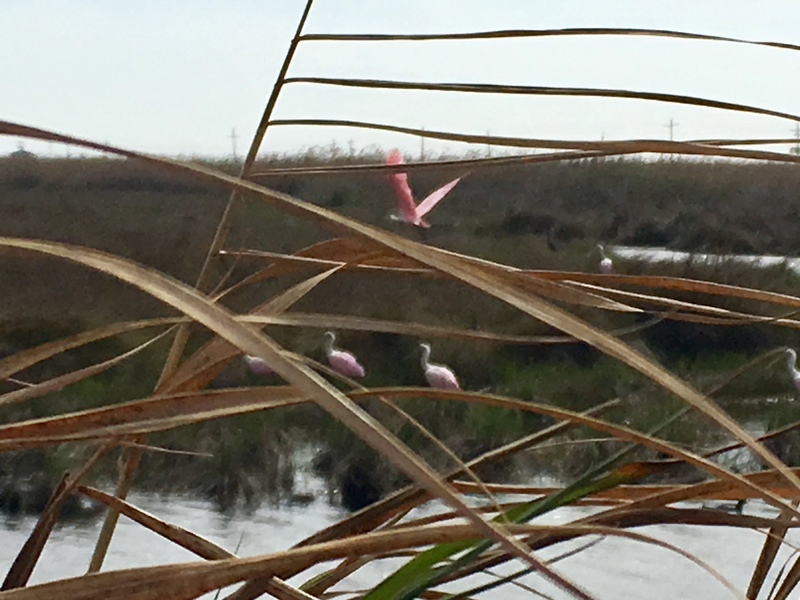 But the part I was most excited about were the roseate spoonbills, the bird I most wanted to see, and sure enough, we rounded a bend on a gravel road and there they were, six or eight of them. They are so pink, and I was so excited. I didn’t get a great picture or anything, but we can call this proof. The next day, driving east, I added a red-winged blackbird and belted kingfisher to my list. 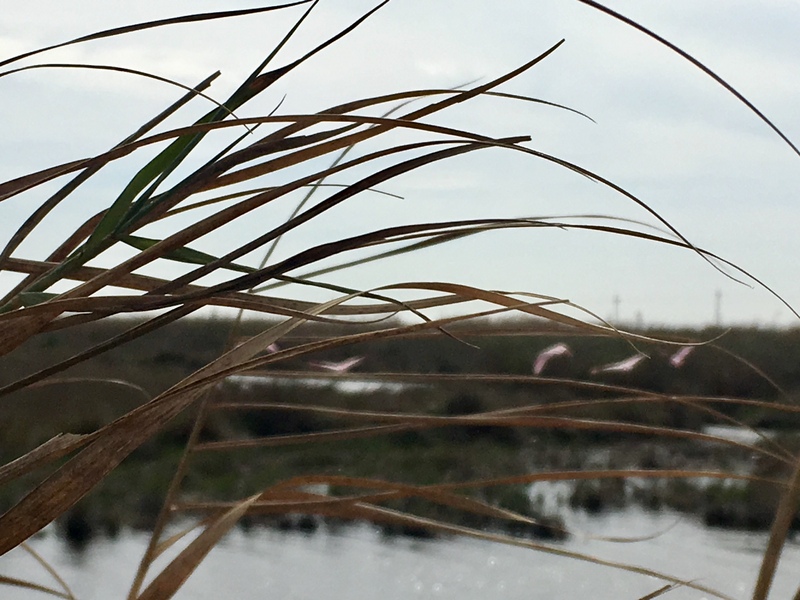 Coming up: Louisiana.